Streaming piracy remains a huge problem for broadcasters. The implications it has on business KPIs are mind-boggling. Given that most consumers today have enough broadband bandwidth in their home to stream high-quality upstream, live streaming piracy is more of an issue than ever. Pay TV is just one part of the ecosystem impacted: everyone with an interest in the content will suffer (broadcaster, production house, rights owner, OTT streaming service) but quantifying the impact is very challenging. Understandably, companies are reluctant to divulge incidents of data loss or admit the extent of online redistribution. There are estimates that content theft in all forms runs into billions of dollars in lost revenue for the media industry per year. Taking just one recent high-profile example, the Floyd Mayweather fight against Conor McGregor last August is estimated to have been viewed by nearly three million people via 239 illegal streams, according to digital platform security company Irdeto. One illegal stream alone reached 986,000 users – translating to almost $100 million lost revenue for broadcaster Showtime. If we assume that half of the viewers reported on social media sites—50 million—watched the full fight. It means that those 50 million could have been payers. Taking a conservative approach, out of those, 2.5 million viewers were willing to pay-per-view, translating into a revenue loss of $250 million (at a price point of $99.99). According to the piracy-tracking firm Tecxipio, illegal views of Mayweather vs McGregor did not end with the broadcast. The fight was illegally downloaded by some 445,000 internet users immediately after it had ended. After-fight revenue opportunities are far from meaningless to broadcasters. Piracy is a huge problem for the subscription video on demand business. Pirate torrents remain highly popular, with Pirate Bay having 234.5 million visits in February 2017 alone. 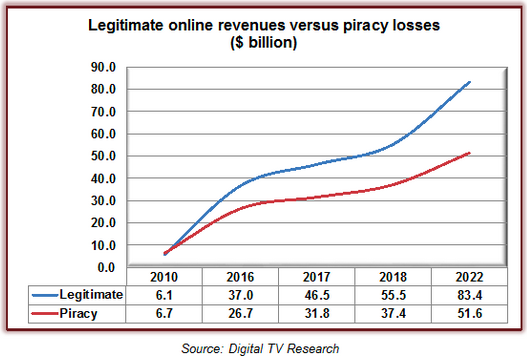 According to the Online TV Piracy Forecasts report, revenues lost to online piracy will nearly double between 2016 and 2022 to $51.6 billion. Speaking of subscription services, account sharing seems to be hurting revenues most. A single end-user sharing a Netflix password may costs the company $10 per month – whereas a single download and illegal posting of pre-released content could cost a studio millions in lost revenue. The latest estimates say that Netflix is losing around $391 million in revenue because of subscribers that share their passwords in the US. It is also worse considering the frustration of the end user in trying to find the content they want. In part caused by the continuing fragmentation of premium rights onto various pay-TV operator owned linear and online services, SVOD platforms and over social media, searching for wanted content can take precious time. The cost of search and the ease of discovery is considered a major factor why users opt for aggregated premium services. 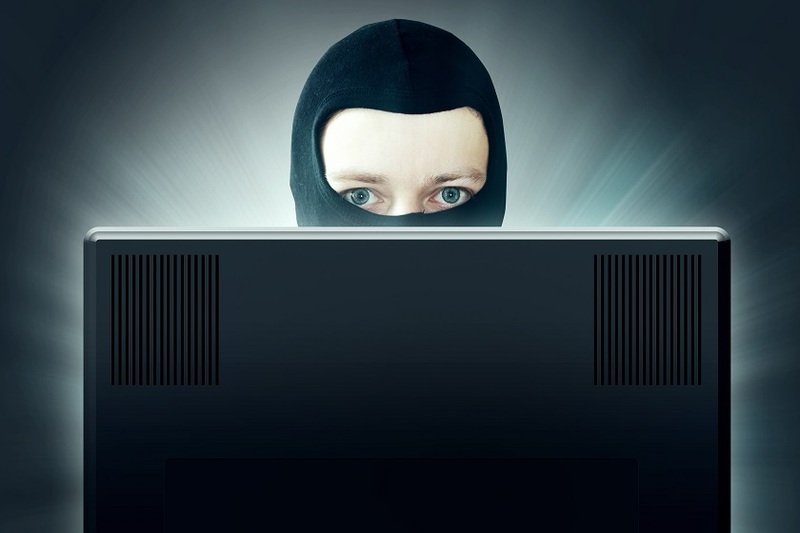 As a form of cybercrime, however, online content redistribution piracy is the major threat to high-value content. While an unauthorized script, tweet or leak of an episode of a popular show like Game of Thrones makes headlines, the industry is by some accounts hemorrhaging more revenue from illegal redistribution of premium live streams. The real fight against piracy just started!